The Casino Ballroom was located on The Strip, just west of the New Inn (now Swiss Chalet). 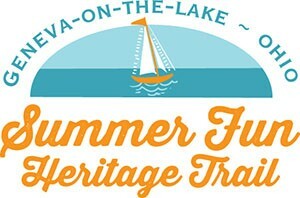 It was built in the spring of 1915 by a group of investors: George Glick, Maurice Johnston and Mrs. Bert (Jennie) Munger Gregory. Glick and Johnston bought out Gregory’s interest in 1917. 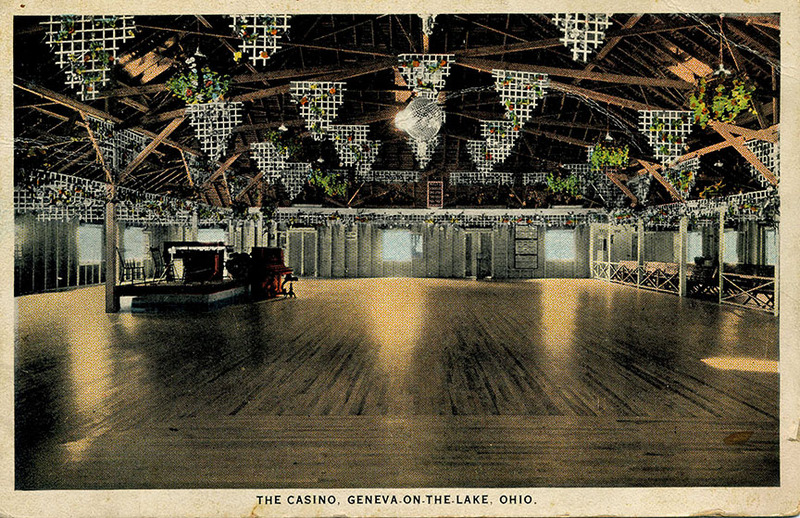 The idea for a dance hall at the lake came out of Mr. Glick’s work as a dancing instructor in Geneva. He became acquainted with Mr. Johnson, who conducted a dancing school at Canton and through attending conventions for dance teachers. The operated the Casino until 1937, when the investors sold out to the Pera family. 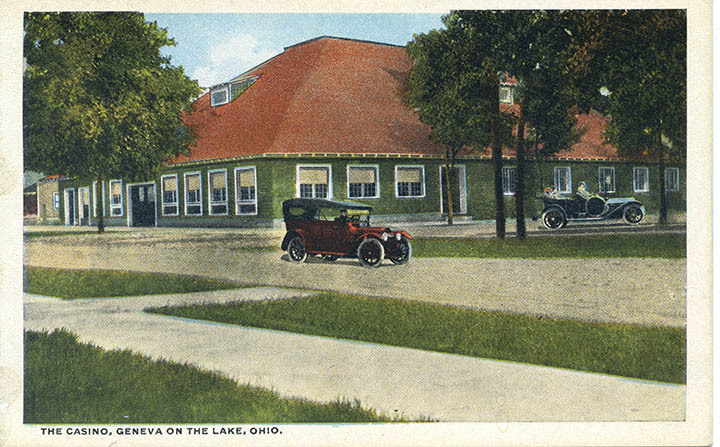 The Pera’s built their Pier Ballroom and opened it in 1928. Disliking competition, they bought out The Casino and repurposed it as a skating rink. It was a bad idea, and after several years of poor performance, they converted the rink to the Casino Gardens, a nightclub. The Casino operated as such until 1953, when it was converted to an arcade. It was operated as Sportland Arcade until fire claimed the building in 1979. The Casino narrowly missed burning down in 1952, when a July 10 fire destroyed the Sportland Penny Arcade next to the Casino. Mr. Glick died April 28, 1938. He was survived by his wife, Zora, and a daughter, Mrs. Erlyn Gordon, of Shaker Heights.